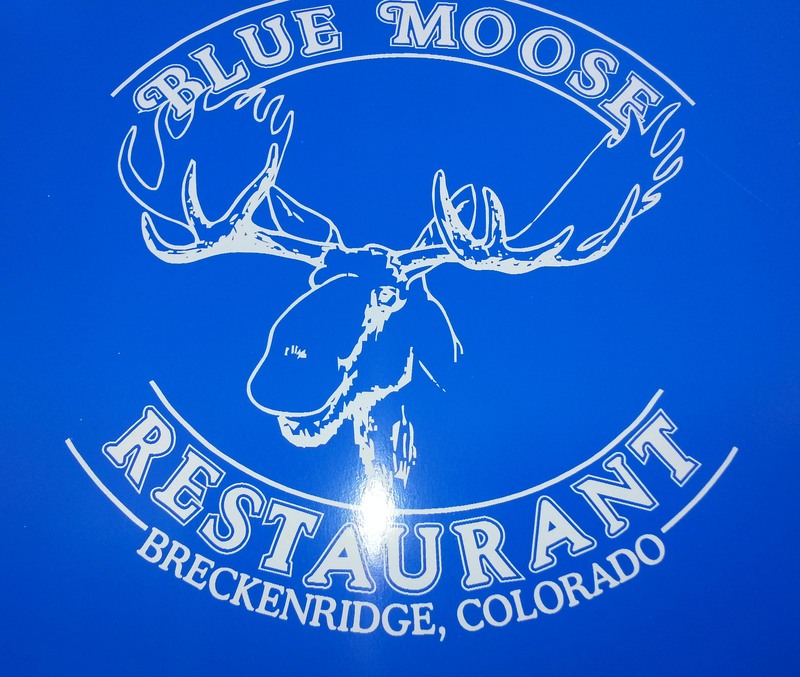 The Blue Moose in Breckenridge has several issues: lengthy waits, cash only, and limited hours. The best advice is to forget about those things. Instead, focus on the food and friendly staff, which, fortunately, is easy. Mud season may be the only time it’s possible to walk in and sit down without a wait. Even then, it’s iffy since the restaurant appeals to locals just as much as, or more than, skiers and summer tourists. Recently, we braced ourselves for a long wait and made sure we had plenty of cash in our wallets. We got a table soon after arriving and didn’t have to spend everything we had. The appeal is fresh food, and lots of it, almost too much. The Spuds and Vegies is one of my favorites. 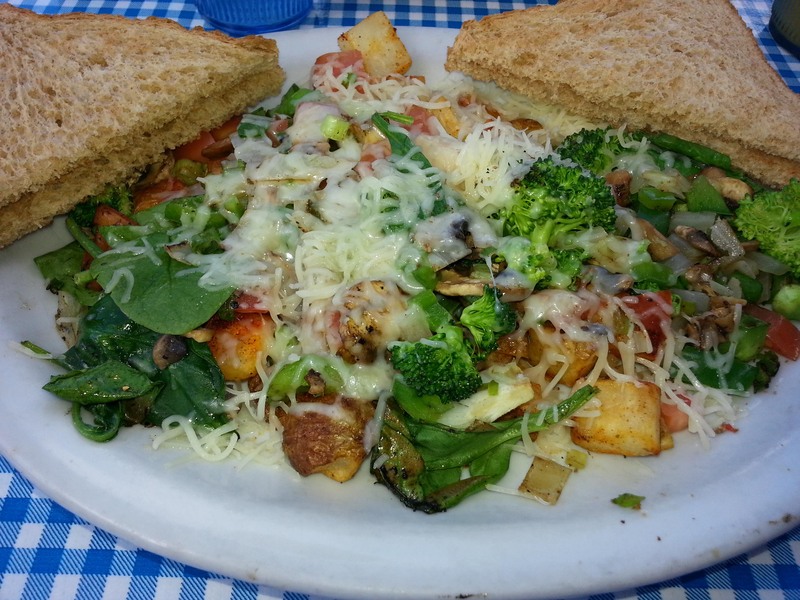 Sautéed broccoli, onions, tomatoes, mushrooms, green peppers and spinach served over country potatoes. Eggs and cheese on top are optional. The meal is like eating a carb-building garden. Several types of omelets and the usual parade of pancakes and French toast comprise the menu. Several items include names familiar to the central mountains, such as the Minturn Loop. It’s nothing more than choice of eggs, bacon or sausage, potatoes and toast. On the other hand, the English has everything to do with what’s served. 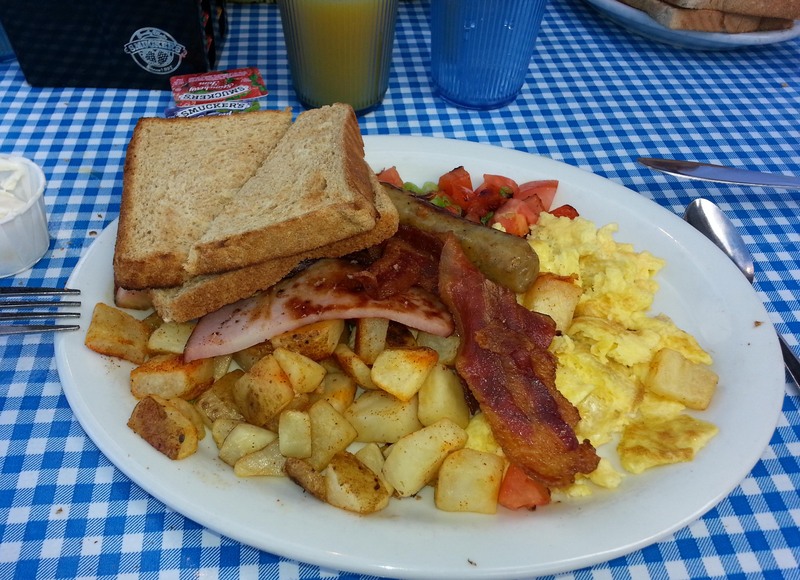 It features plate-size pancakes, eggs and several meats: bacon, banger and ham. In case that’s not enough, toast and potatoes are included, as is a fresh tomato relish. If you eat outside, nothing beats the mountain view — they’re worth the wait.